Whilst attending the Anniversary Games over the past couple of days, it was a sharp reminder of the Junior (U20) talent which Great Britain possesses. During the London Diamond League during the Saturday events, the GB Junior and Youth athletes were paraded throughout the stadium which was a great spectacle for them. This encouraged me to catch up on all the great performances which I missed over the last week at the European U20 Championships. The team which went out to Sweden for these championships would be certainly a strong one which was definitely improved after the initial tough selection policy taken. The final result as a team from these championships was certainly a very positive one. The team equaled the 2013 tally of 11 gold medals and once more topped the medal table, finishing 28 points ahead of Russia. the British team would also win six silver medals adding to the total of 17 medals. Starting with the field and sprint events, Britain would really show their strengths over the shorter distances. The most notable performance would be that of Ojie Edoborun who took a dominant 100m victory in 10.36 with Joseph Dewar coming in as runner up. This sprint success was too backed up in the men’s 200m where Britain took another 1-2 finish with Tommy Ramdhan (20.57 +4.1 m/s) and Elliot Powell (20.72) winning the medals. Britain’s sprinters were able to continue this form into the longer event of the women’s 400m where there was another first and second finish for GB. Laviai Nielson and twin sister Lina both made the final alongside Cheriece Hylton, but it would be the first of the two twins, Laviai who would come out on top running a time of 52.58 seconds just ahead of Hylton who grabbed silver in 53.16. The two gold medals which Britain won in the field were probably the two with the greatest expectation. Morgan Lake took part in the women’s high jump after winning double gold at last years World Junior championships in both the heptathlon and high jump. She would struggle through the early rounds, needed all three jumps to make the qualification height for the final. However, she would be jumping at almost her best again in the final where she cleared a height of 1.89m to secure the gold medal; she would go on to clear 1.91m and attempt 1.95m after securing the win. 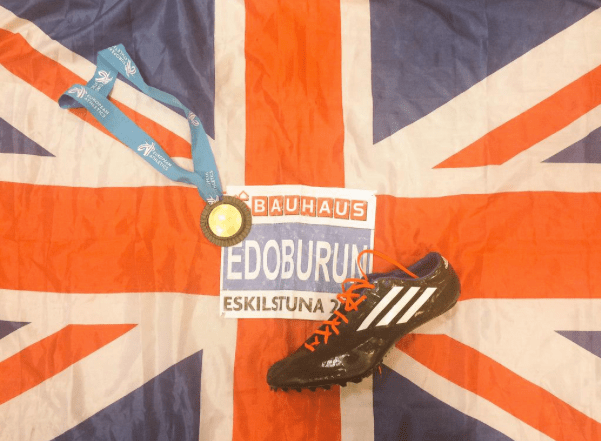 The second of Britain’s gold medal performances in the field came in the pole vault with Adam Hague dominated the competition as the UK Junior record holder. Hague would only fail one jump and would come away with gold after successfully clearing 5.50m. The distance events at these championships have been traditionally strong ones for Great Britain, with Jake Wightman notably taking gold in the 1500m two years ago. This victory would be expertly replicated by Scottish junior Josh Kerr. Kerr was not the fastest in the field but had already demonstrated his great strength over the last lap by wining the U20 National Championships. This was shown again off the slow pace of 2:08 through 800m where Kerr would pass the whole field to take victory with a 43 second last 300m. Robbie Fitzgibbon was the other Brit in the race who put in a 58 second middle lap to spread the field but would come home in 8th. Fitzgibbon comes from a strong Brighton Phoenix group, training alongside Charlie Grice and Spencer Thomas. Thomas would also make the junior team and line up in the men’s 800m however just missed out on a final spot. Kyle Langford is undoubtedly the best junior 800m runner GB have seen in a long time, he took a bronze medal the World Youth Championships two years ago and recently became Senior National Champion. After starting his season late, Langford the final would be his second big test of the year. The pace was slow but the last 200m was where it all happened with Langford allowing others ahead of him before he made his move over the last 100m to win by just 0.01 of a second over the Russian athlete in 1:48.99. Britain had equalling success in the women’s 1500m as they did in the men’s. As with the expectation set upon Lake to win the High Jump gold, Bobby Clay was the certain favourite for this title being the European leader. They set a relatively slow pace at the start but Clay used her usual tactics of a long run for home, breaking away from the field way before the last lap and continued to stretch away in a comfortable win. Backing her up on second place was Amy Griffiths making a another 1-2 for Britain. The distance dominance shown throughout the championships continued into the men’s 5000m final with the US based Alex George taking gold with an excellent last lap. George was able to out-sprint the European Junior XC champion of the Italian Crippa was a 59 second final lap, showing his great 1500m speed. These championships showed once more that Britain have some excellent Junior talent which all have great chances of processing up to the next level of competition. This is especially shown by the likes of Kyle Langford and Morgan Lake, both leading the way and offering themselves in great positions to be selected for the senior team for the World Championships in August.